There is one rule in web design that we have stated many times before only to debate it and debate it again. We even went so far as to prove it and then defined it. 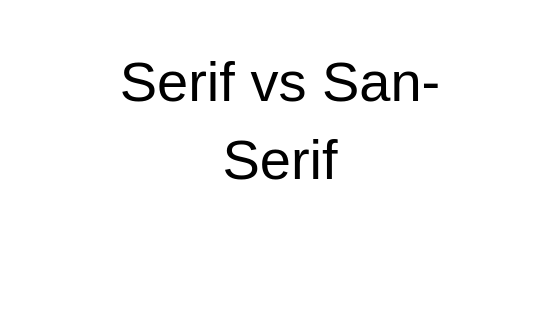 I must admit serif typefaces look a lot better on a Mac with its aliasing, but that is about it… it looks better, it doesn’t perform better. We remember that form always follows function right? So why are we still seeing designers who insist on using serif typefaces for the body of large blocks of text? I have no idea. If you disagree, post a comment here and prove me wrong with facts specifically devoted to online screen reading.